sadie + stella: out with the old. in with the new. The year that is. Happy 2012 S+S loves! We could not be more grateful to be ringing in another new year with you all. Doesn't the start of a new year make you feel like you need to purge half of the things in your house? Us too. Well maybe not purge, but definitely get stuff in order. The rule of thumb around our house has been: If you have not worn it since middle school, it is probably time to give it up. I wish I were kidding. Needless to say, out with the old, in with the new. Not only are we bringing you pretty, organized imagery today, we are going to give you tips in your new year with new resolutions, to get regulated and stay regulated. Details people. Details. Nothing can be more aesthetically pleasing and fulfilling than an organized chaos. Nothing. First step in getting real and getting organized: Group like things. This works for organizing anything. Specifically in a closet, hang jackets together and bottoms together. Place your purses in a visible place. It becomes your artwork. This closet is a great example of most of our closets. Stuff, stuff and more stuff. Grouping like things together streamlines the otherwise disaster this closet could actually be. Who loves those doors? We love those doors. We also have a little bit of color coding happening here, which we adore. Next organization tip, color code it. This may seem extremely obsessive and over the top to some, but trust us, you have no idea how fulfilling this can actually be. 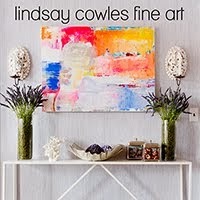 Not only does it look amazingly beautimous, it can really help you in the mornings while shopping your closet. It definitely helps me visualize and locate what I am looking for more efficiently. Trust. 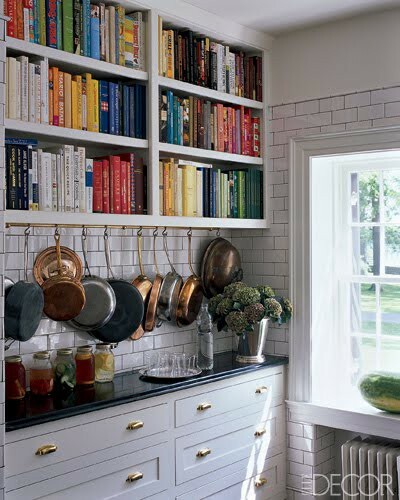 We wish we had this rainbow collection of cookbooks! How accomplished and seasoned this person must feel. Gorgy organized kitchen here folks. Another pretty color coded closet. Next tip: Compartmentalize. Stuff seems to look so much more organized and chic when you place it in pretty boxes and curiosities. Take these lacquered boxes for instance. So major. We die over this picture! Die! 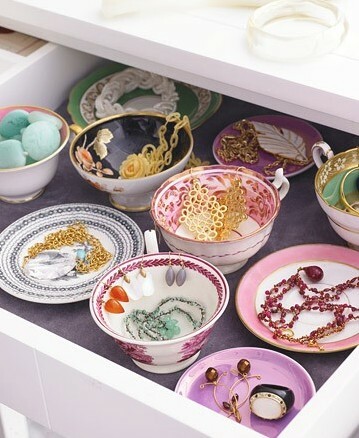 Love the decorative bowls used to display delicate jewelry. It looks so refined and so unique. Another fab example of compartmentalizing. To the fullest. 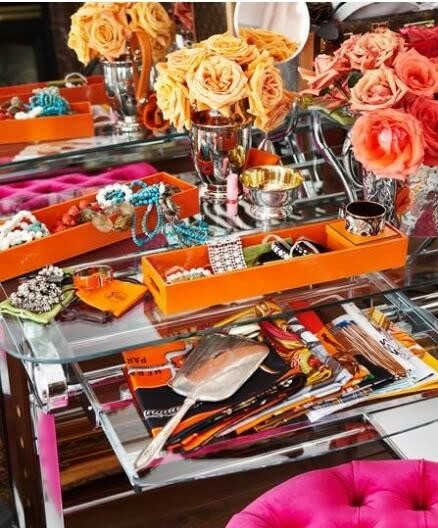 Lucite compartments built in to organize and regulate jewelry. We need this. Truly. 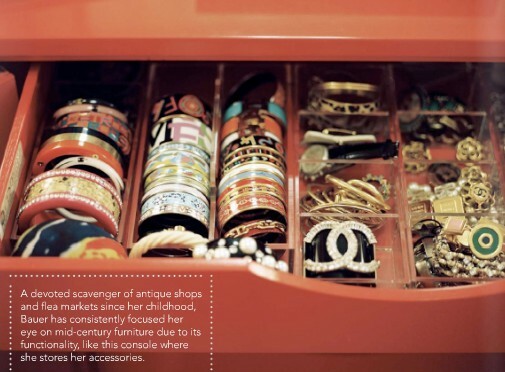 Oh to be able to find that bangle that will make your outfit. Next up: Label it. This works in any space, really. 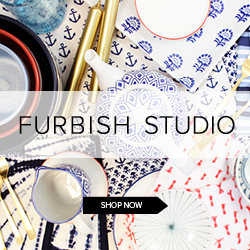 Kitchen, office, playroom...you name it. 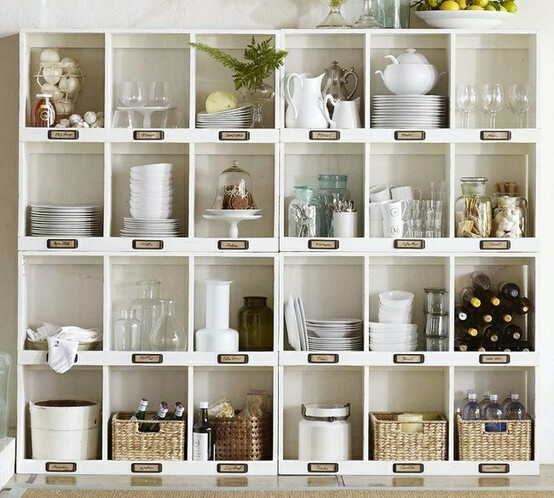 This is such a great transformation from utter chaos and clutter to complete organization. 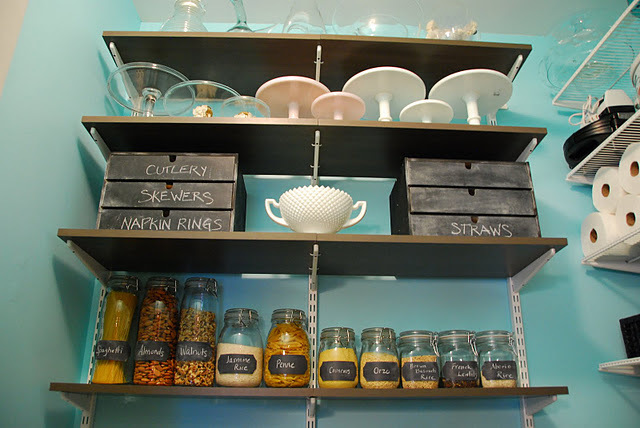 The labeling is key in any kitchen or pantry. Easy access to that key ingredient in any recipe. Larve. Talk about compartmentalizing and labeling. All in one here. 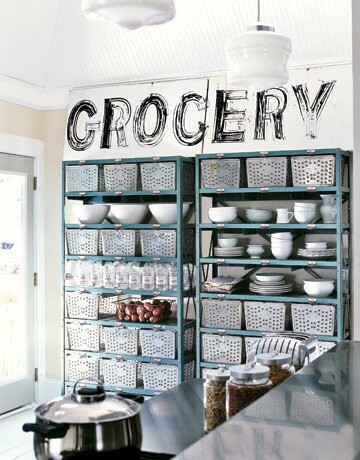 If you are not so lucky to have the ability to compartmentalize with this shelving, use baskets. As also seen here. It will help in keeping like items together. A perfect example of compartmentalizing using baskets. We adore. Since these baskets are not as easy to see through, labeling is absolutely helpful in this case. Love the industrial baskets. Love. let me know if you need a closet organizing consultant who also designs clothes. 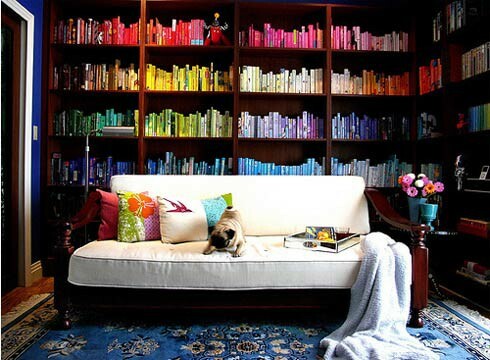 I love the look of order and color coordination! I see an organizing day in my future! Lovely pics! Happy New Year! Happy New Year ladies! 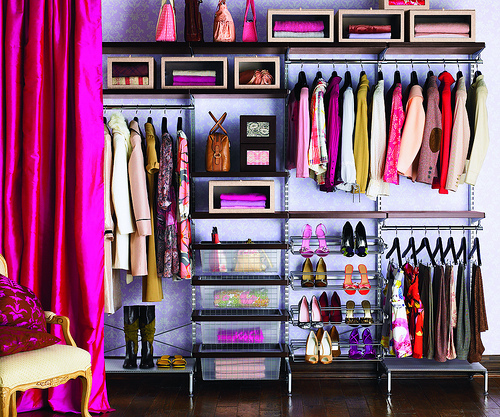 Those closets are to die for! I love all the color coding!! 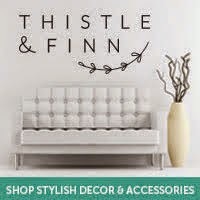 Top of my list for 2012 is cleaning up the bedroom closets in my house....thanks for sharing all these lovely inspirations! My one and only real resolution this year is to re-do my master closet- it's a total and complete nightmare of epic proportions- can't wait to get it organized...thanks for the inspirations! !